Mogu, a Tencent-backed service that offers fashion content and products to young women, has joined a string of Chinese tech companies pressing ahead to sell their shares through initial public offerings in the U.S. before year’s end. 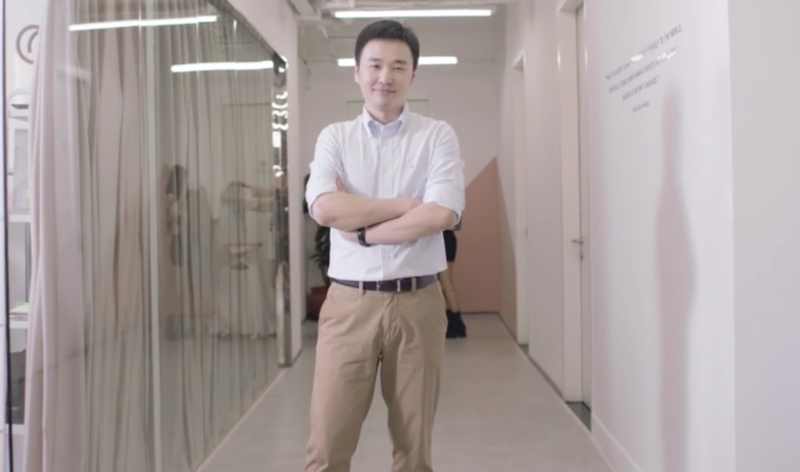 While Alibaba has long dominated how people buy clothes online, a few smaller players, including Pinduoduo and Mogu, have managed to carve out a niche. According to a September report by mobile analytics firm QuestMobile, Mogu controlled an 8.1 percent penetration rate among e-commerce apps targeting women under 24 years old. Alibaba led the game at 98 percent. Now a formidable rival, Alibaba has played a key role in Mogu’s early-day growth. The firm’s initial incarnation was a Pinterest -type pinboard that let users share fashion items with links to third-party e-commerce platforms. Back then, a majority of the products on display came from Taobao, Alibaba’s marketplace for small and medium-sized merchants. As such, Mogujie generated a big chunk of its revenues from Taobao’s referral commissions early on. In return, Alibaba also benefited from the traffic that the social e-commerce startup sent over to Taobao. It came as no surprise when the titan made an investment offer to Mogujie in hope of adding a community component to its e-commerce business. But Mogujie rejected the advances. “Our visions were very different. We wanted to be a fashion destination,” Chen said of Mogujie, which allowed all kinds of retailers to promote as a magazine does. Alibaba, on the other hand, wanted Mogujie to be a vertical e-commerce service that would focus on attracting merchants, touting things and locking users in instead of sending them to third-party platforms. “If our content creators wanted to share something that happened to be from [Alibaba’s] rivals, we would need to stop them. That clearly ran against our value proposition of a fashion destination,” said Chen. The rejection was soon followed by a ban from Taobao as Alibaba wanted full control of where its traffic came from. Meili, which made money by directing shoppers to Taobao as Mogujie did, also lost the ability to link to Alibaba. Both firms started building their own e-commerce platforms soon after breaking up with their main revenue driver. Before long, Mogujie got a new partner from its acquisition of Meili, which counted Tencent as an investor. Tencent does not directly manage any e-commerce businesses but has scooped up shares in a few prominent players, including Pinduoduo and JD.com, arming them with tools to take on Alibaba. Pinduoduo, for instance, has taken off on Tencent’s popular WeChat messenger by letting shoppers arrange group bargains among each other. Similarly, WeChat has fueled growth for Mogu in recent months. WeChat mini programs — a type of stripped-down apps that run within larger platforms — contributed 31.1 percent of Mogu’s total sales for the six months ended September 30, up from 14.4 percent a year ago, according to a regulatory filing. Like Alibaba, Tencent strategically chooses which allies it lets into its turf. Links to its rival Alibaba have long been inaccessible on WeChat, which had more than 1 billion monthly active users as of September. The caveat of having a powerful teammate like Tencent is that an eroding relationship may do harm to the smaller player, as Mogu experienced with Alibaba. But Mogu isn’t worried about its reliance on the gaming and social behemoth. “Customers who like us will end up downloading our native app, which delivers a much better user experience. As most WeChat partners would agree, mini programs are an effective way to attract new users, rather than a threat,” argued Chen. Mogu lost $81 million for the year ended March 31, down from $136 million year-over-year. Revenues, however, slipped from $161 million to $142 million. Chen ascribed the drop to the firm’s “particularly strong performance” in 2017 following the merger, which compelled competition between merchants on Meili and Mogujie to double down on marketing expenses. Meanwhile, total sales for the fashion e-commerce firm grew by 24.6 percent, from $1.71 billion to $2.14 billion. Marketing services, which consist of display advertisements, accounted for nearly half of Mogu’s revenues, but are fading in favor of e-commerce commissions, which stood at 43 percent of revenues compared to 30 percent a year ago. The new development signifies Mogu’s shift to growing a community of influencers selling clothes to followers via live streams. This segment brought in 11.8 percent of Mogu’s total sales, compared to only 1.4 percent in 2017. The appeal of live broadcasting, according to Chen, is that it improves efficiency in apparel manufacturing. A traditional procedural goes like this: Make clothes, sell them, and items that don’t sell get discounted, eating into margins and jacking up retail prices. Selling through live streams, on the other hand, helps merchants determine how popular a design is in real time.